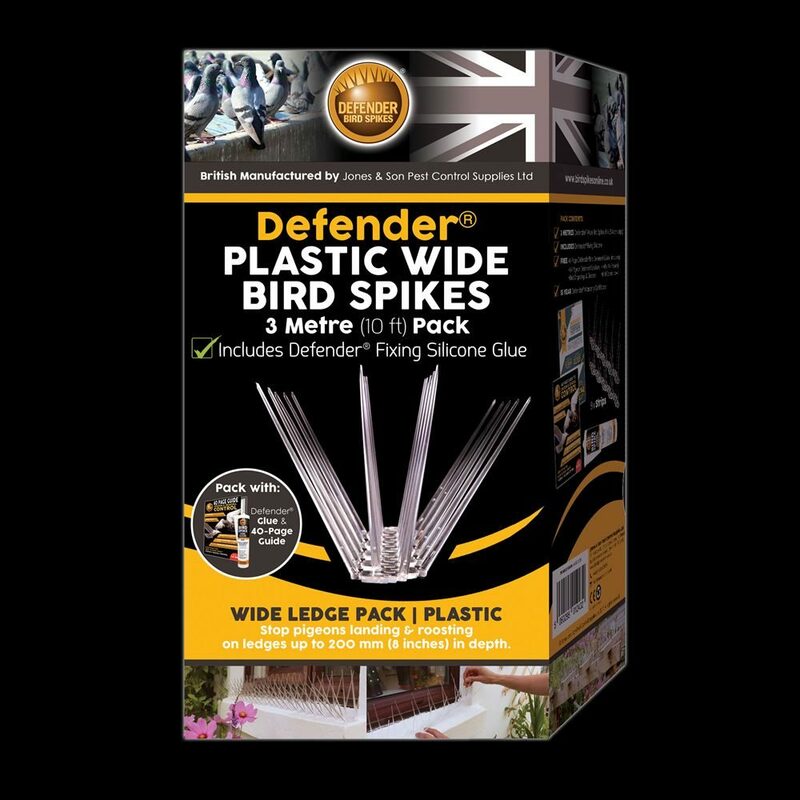 Defender® Plastic Wide Bird Spikes 3 Metre Pack comes complete with a full size tube of Defender® Silicone Adhesive. This is all that is needed to get rid of birds and pigeons that are nesting and roosting on your property. This Plastic Wide Bird Spike has pins that fan out to protect ledges, sills or walls with a depth of up to 200 mm. 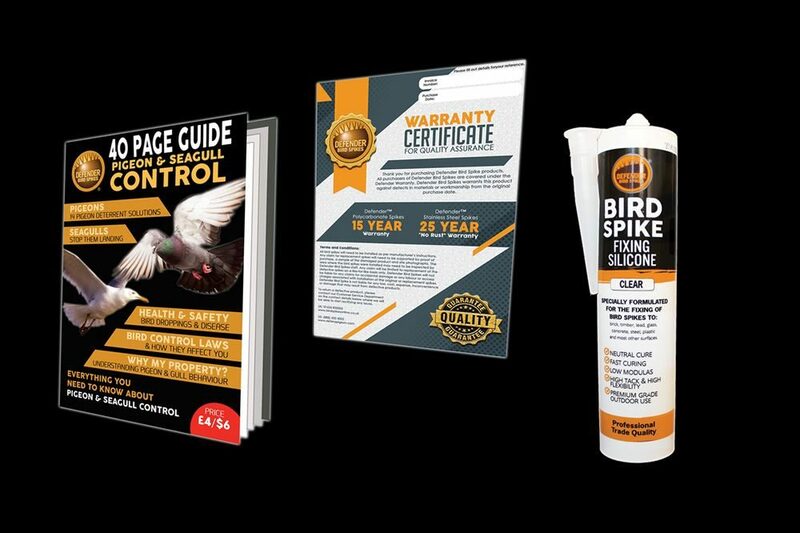 A 40 page pigeon deterrent guide is also included in this pack. This book is full of interesting articles on birds and the law, health and safety and of course an in depth guide on how to correctly and safely install this pack of Defender® Plastic Wide Bird Spikes. All the Defender® range of retail packs are designed and manufactured in house by Jones and Son Pest Control Supplies Ltd, based in Devon. Passing customers love to drop in and see how are spikes are made and packaged and of course, to get advice from our knowledgeable customer service team. 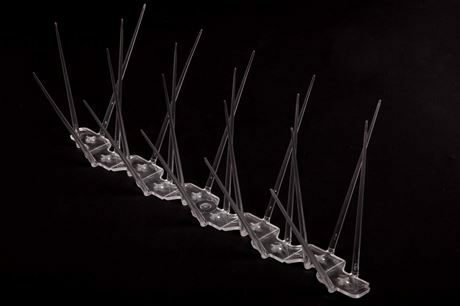 If you need more than 60 strips or 20 metres plus, consider Defender® Plastic Wide Bird Spikes page where larger quantities can be purchased. 40-Page Defender® Bird Deterrent Guide including information of Bird Droppings and Disease, Bird Control Laws, Why My Property? And 14 Pigeon and Seagull Deterrent Solutions. Defender® Plastic Wide Bird Spikes fan out to protect ledges with a depth of up to 200 mm (8 inches) or 150 mm (6 inches) if the ledge is used for overnight nesting or roosting. Pigeons and other like-sized birds. Quick and easy to install using the included Defender® Silicone. A caulking gun will be required which is not supplied. For a simple guide to installation, please click here Defender® Plastic Wide Bird Spikes - Installation Guide. However, there is a wonderful installation guide on how to correctly install our wide plastic pigeon deterrents on the pack itself and within the informative Pigeon Deterrent Guide which is included. The base is made from Durolon, a UV stabilised polycarbonate which will not degrade or become brittle in any weather and protects it from the sun's rays. The spikes are very discreet once installed and are virtually invisible from the ground. All Defender® Bird Control Products are humane. The plastic pins make landing uncomfortable for pigeons and other birds, without injuring them, which means they move on to other more accessible areas. If the ledge is narrower than 200 mm and the aggressive fan of pins on the Defender® Plastic Wide Bird Spike is too wide to install correctly, please consider using our Defender® Plastic Narrow Bird Spikes 6 Metre Pack. 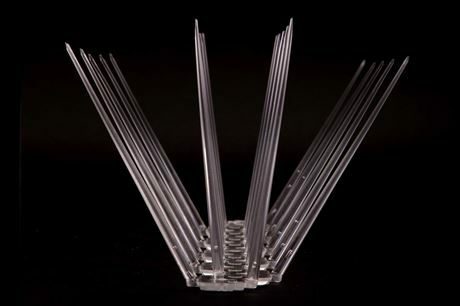 Our Defender® Bird Spikes have stopped pigeons and seagulls landing on properties for years. Please read our Bird and Pigeon Spike Reviews here. If you have a question about the Defender® Plastic Wide Bird Spike Pack, please contact us and we will help you get rid of pigeons from your property! If you are interested in becoming a supplier of our Defender® retail packs or any of our other products, please call our customer service team for more details on 01626 835055.